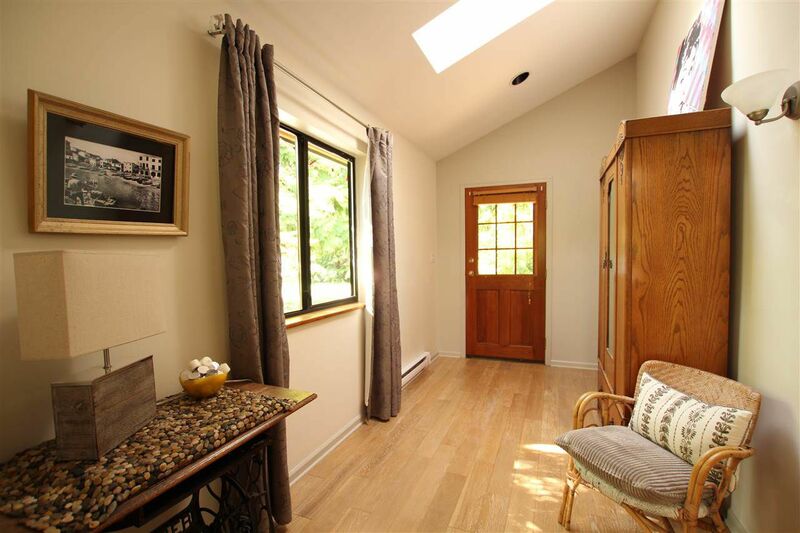 This home welcomes you from the moment you step in the door. 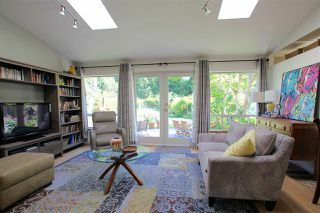 Light streams through the French doors and numerous skylights and dances around the open living area. 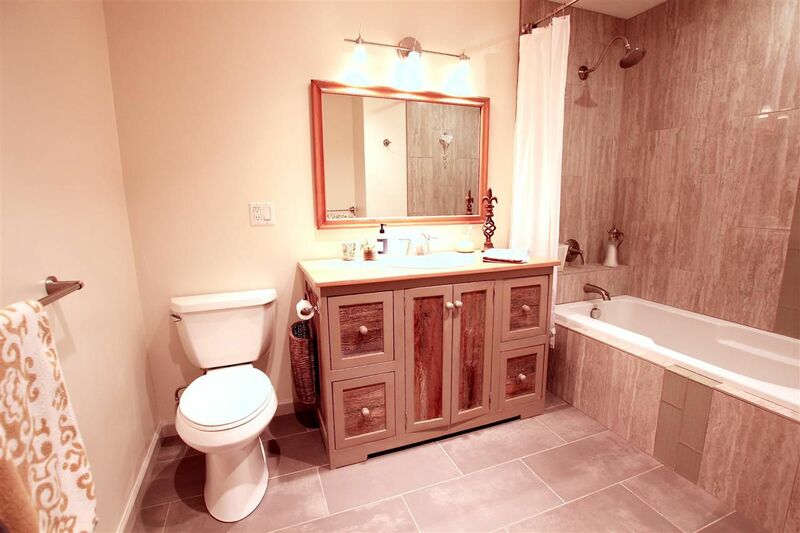 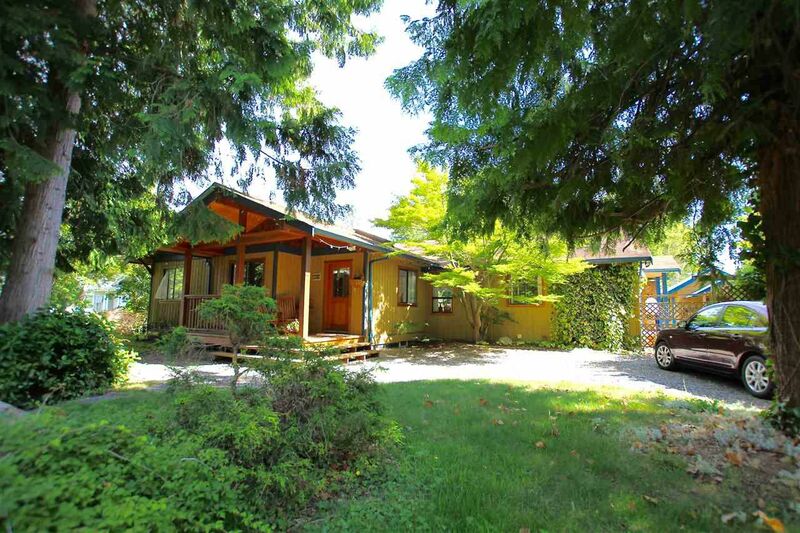 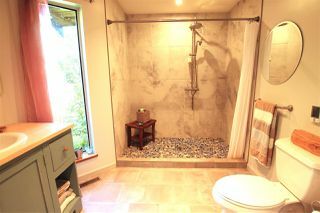 A very private custom built 3 bedroom and den home, with 2 1/2 modern bathrooms. The living area boasts vaulted ceilings, oak hardwood floors and opens up to a sunny south facing large stamped concrete patio which encourages relaxation and entertaining. 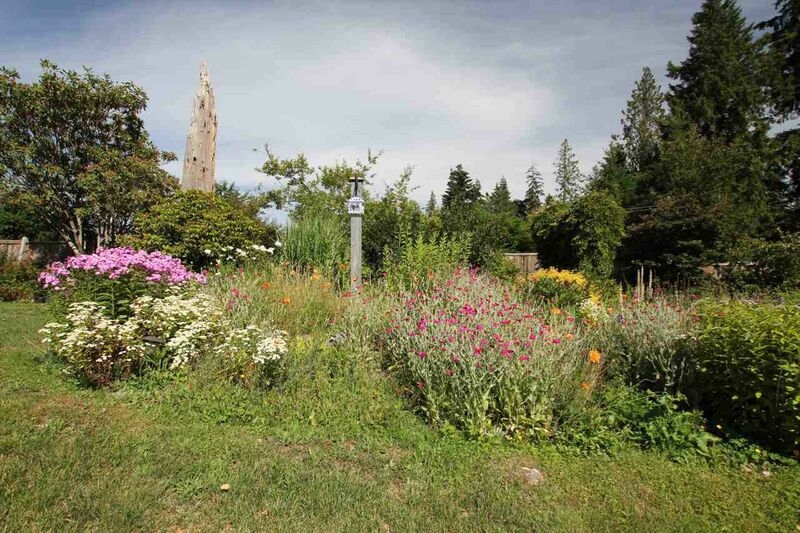 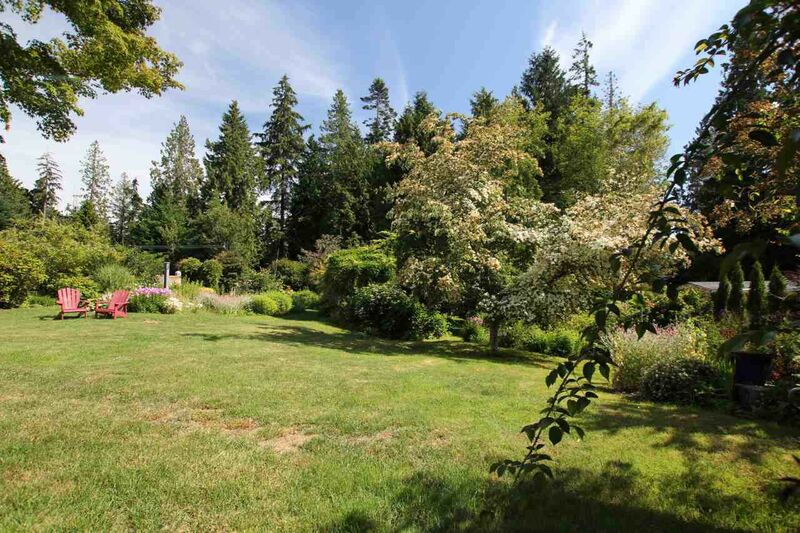 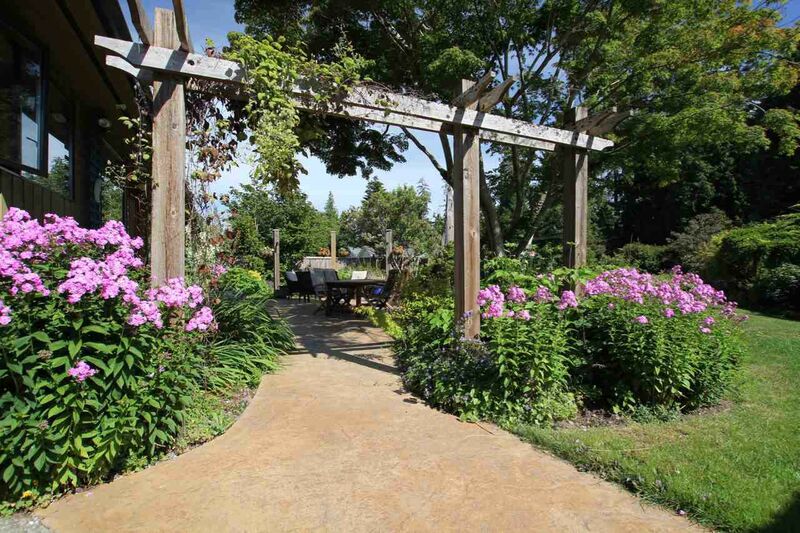 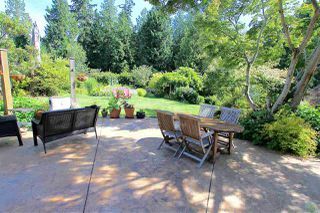 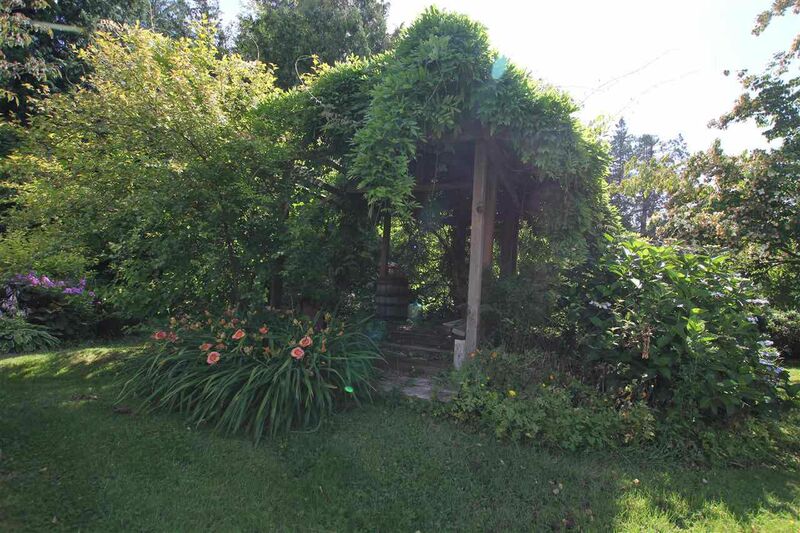 Outside the property spans over a 1/2 acre of beautiful tranquil gardens and open grass areas. 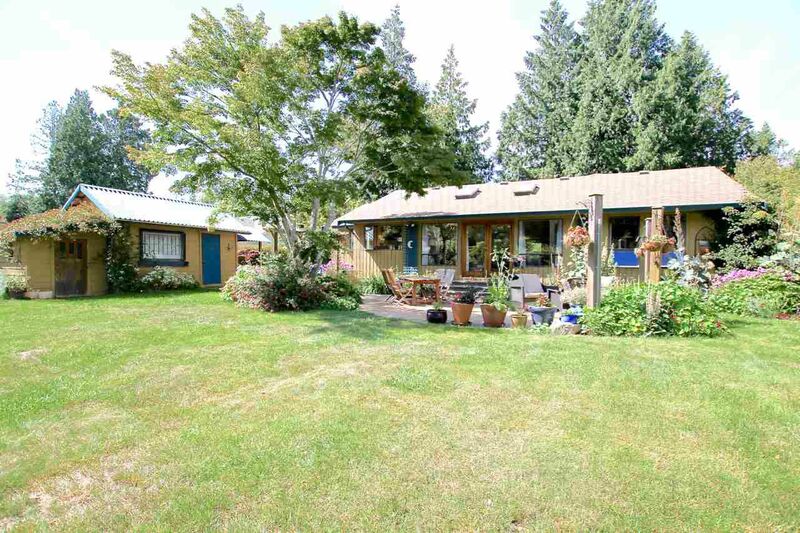 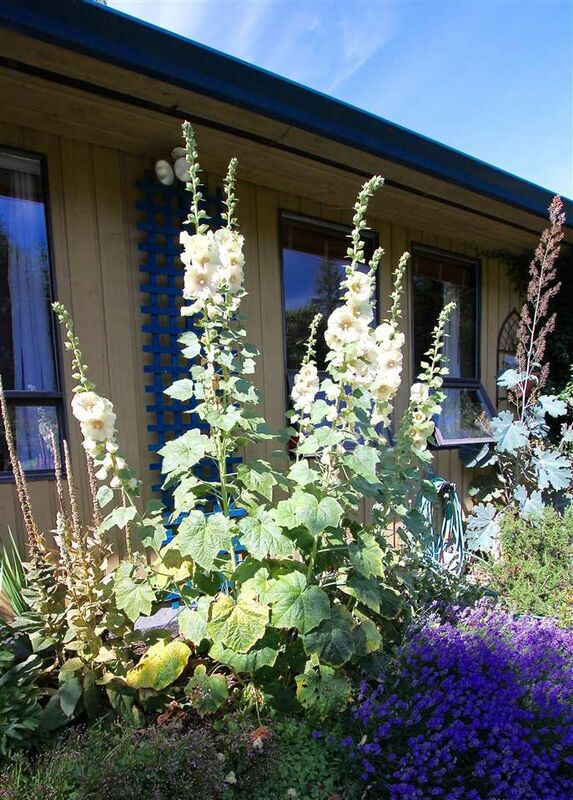 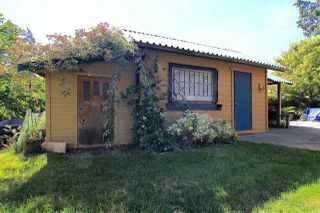 A spacious aggregate concrete side patio with large shed and potting shed attractively wraps around the home. 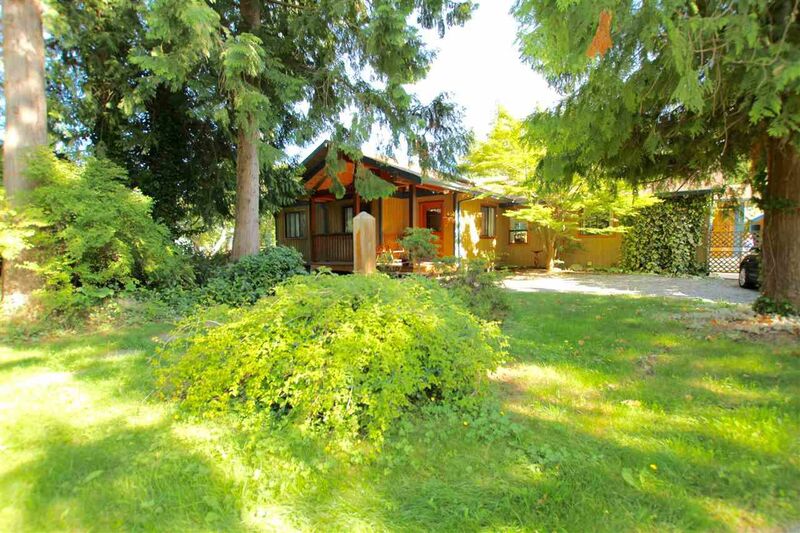 ZONED FOR AN AUXILIARY DWELLING you could build yourself a mortgage helper or a home for mom. 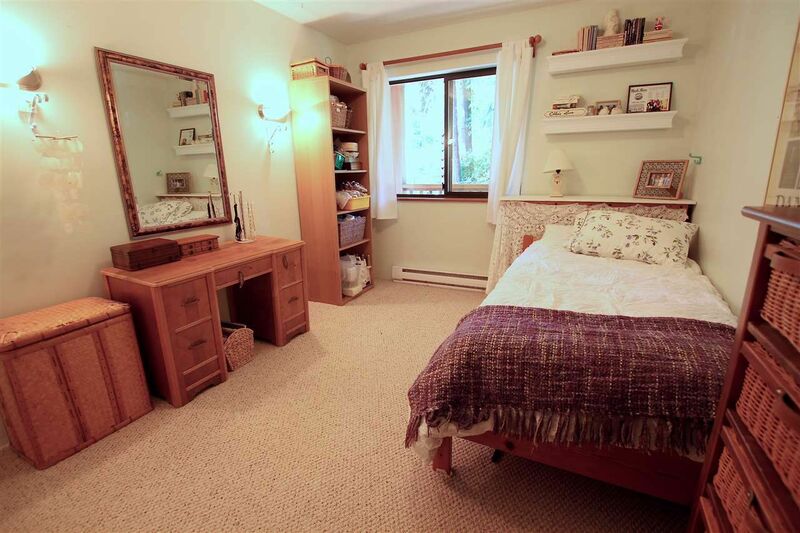 There is plenty of storage in the attic and the lighted crawl space. 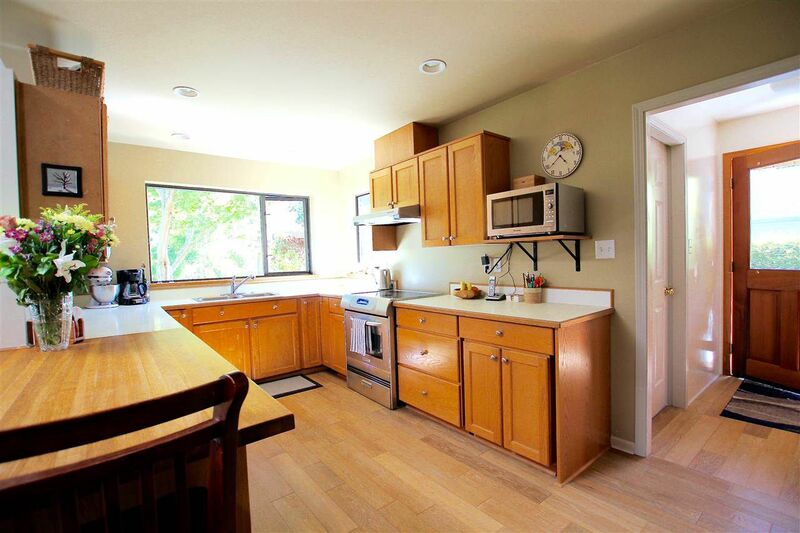 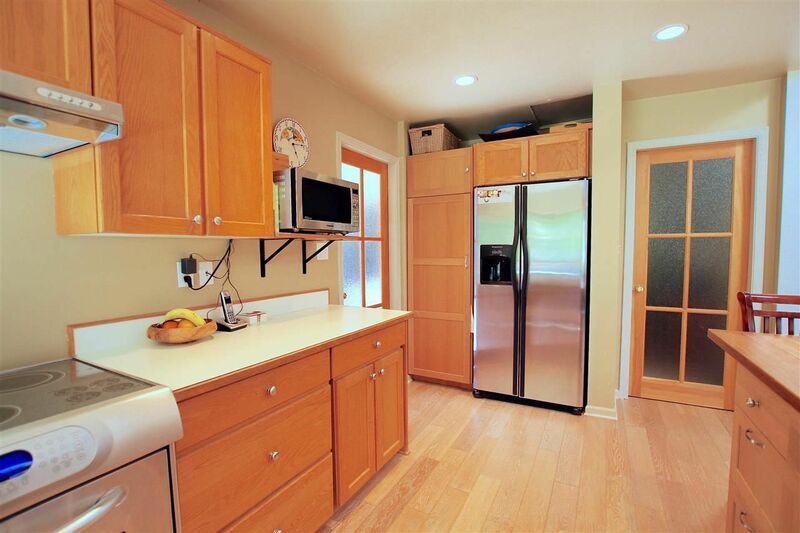 It is rare to find a home with this much space on one level with such a great floor plan. 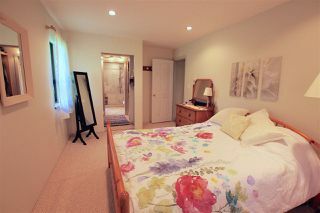 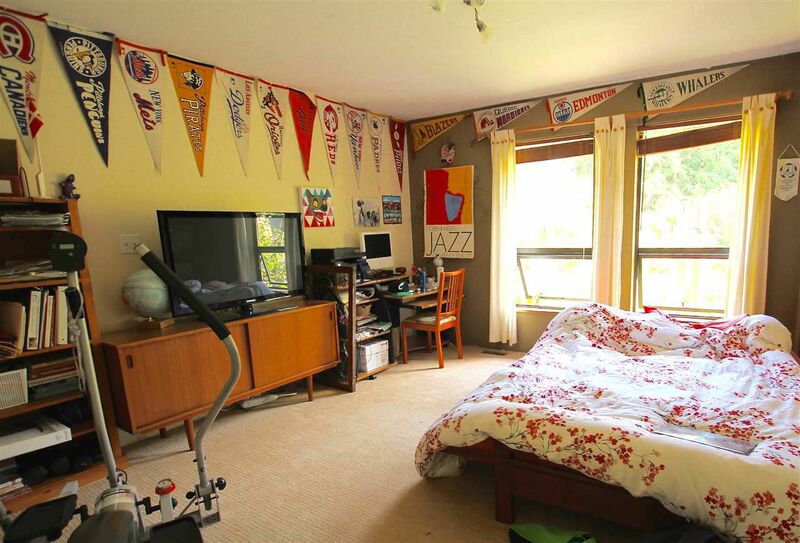 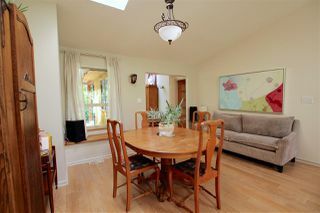 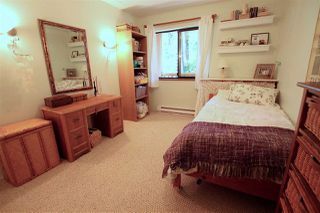 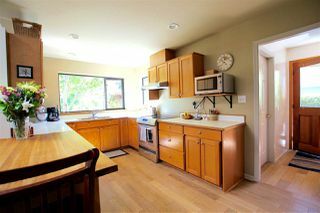 Located in a desirable neighborhood on a favourite street, close to beaches, shopping, buses, and Cedar Grove School. You won’t want to miss this one.